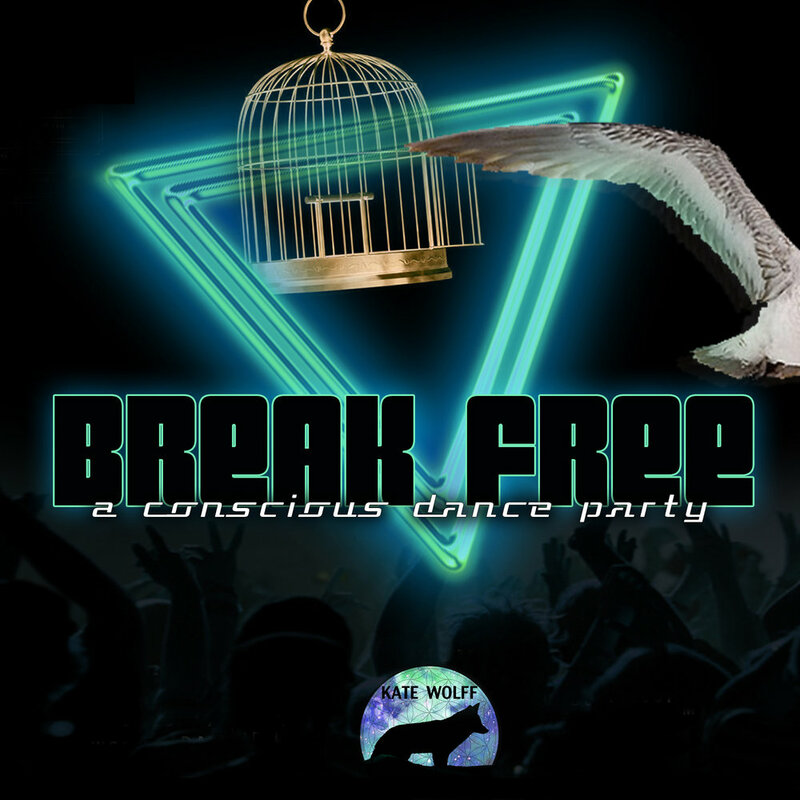 Break Free is a dance party focused on Hip Hop music where you come to let it all out and remember to break free of the illusions that have imprisoned us. To get back to your truest most enlivened self! We are all animals wanting to run wild in a conscious and FUN way. Dancing is what we as humans are meant to do. Celebrate that you're alive! Come to Break Free, and have the most fun you've ever had while remembering it's okay to be yourself, to be FREE. Most of us don't have the time or energy to go out and party at a club until 3 am anymore. But we still desire an outlet to dance, and get wild. Break Free is about giving people a place to express themselves, while also allowing them to get up the next day without feeling like crap. There is a bar so people can drink if they want to. It's not about rules, it's about finding a way into your freedom. Conscious dance parties are about having a space to dance in where the intent is to set your truest self free, and let the movement of the universe flow through you. We are mean to express our truest vibration or soul song. Break Free is Hip Hop based because the conscious dance parties that already exist focus mostly on techno/house, but many of us prefer Hop Hop and Pop music when it comes to dancing. There's something about the drum and bass that really allows people to go deep inside themselves and get to that raw place that lives within all of us. There's so much soul in that kind of music. Come and experience the magic for yourself! Next Break Free is yet to be scheduled but hold on tight, it will be back!! !